Here’s a very nice, very chill song. I really don’t want to use the word “chillest” but this is, perhaps, the chillest song I’m featuring in this list. It’s also one of the newest. Tez Cadey is from Paris and is the stage name of Malo Brisout. He’s based in Lille and is a lot younger than I am. Which is depressing. Here’s an artist you’ve actually probably heard of. This is the Spanish version (there is also an English version, but translating songs always causes them to loose that thing that makes them exotic and catchy in the first place). Actually you’ve probably heard of Sean Paul, too. Descemer Bueno is a Cuban singer and Gente de Zona is a Cuban reggaeton group. This was a big hit all over the world, even in the U.S. where it reached #12 (with the English version). This song is more of a deep house cut than the previous. Isn’t it amazing how many EDM artists are certified scuba divers? Actually, I kind of doubt any EDM artists actually appear in their own videos… which all appear to be shot on the cheap, other than the airfare to whatever sunny locale they’ve picked. The “official video” linked to above has a stupid almost 30 second YouTube channel tag at the beginning. So fast forward because this is a super nice, chill song with very nice lyrics. Sigh. I don’t know why I do this to myself… videos for songs of this sort are full of people having fun in beautiful, exotic locations. I want to be there. So bad. Strangely, you can’t buy this song on Amazon. 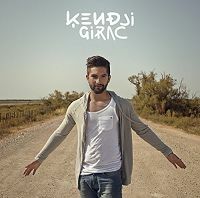 Kendji Girac is French, but is of Spanish descent, and you can really hear it in the Flemenco guitar-ish-ness of this Spanish/French bilingual song. It’s downright gypsy like in feel with a bit of a pop/house beat. There’s something about songs with a Latin background (even if it’s not Latin music in the traditional sense) that just screams summertime. I think you could definitely call this song “chill.” If you find yourself laying on the grass looking up at the sun through shades on a hot day, I’m not sure there’s much of a better song to have playing. There’s even sax, which is the new fad in music like this. I hope it’s a fad that continues. This was actually a #1 in the U.K. in 2014. The lyrics are actually by the same woman who sang on last Monday’s featured track, Kelli-Leigh sampling Toni Braxton’s “You’re Making Me High.” It’s interesting how some songs will top the charts in the U.K. and not even pop up on the Hot 100 in the U.S. Hooray cultural differences! This isn’t the best song on this list, far from it, actually, but I thought I’d include it for a few reasons: 1. the music is actually pretty nice, even if it’s more traditional house than the deep house stuff the rest of this list consists of and 2. it’s about a weekend, which, during the summer, are the best days of the week because you can spend the entire day outside. Bondax was on our list of Summer Songs last year and they return this year with another great song that is, perhaps, even better. The lyrics here really shine, which is what sort of sells this whole song. The music is great too, but the words actually make it something. I’m not sure a better song has ever been recorded. That’s a big statement. The song begins as a harmonized ballad and when Freddie Mercury starts singing about how he “once killed a man” the music starts picking up, giving it an operatic feel. The lyrics fade in and out throughout the song and bits of hard rock interrupt the opera performance and they do so with great timing. The song peaked at #9 in the U.S. in 1976 and #1 in the U.K. In 1991, it topped the U.K. charts again after the death of Mercury. In the U.S., it peaked at #2 in 1992 after being featured in Wayne’s World – where Wayne and Garth are headbanging to in in their Pacer right at the 4:12 mark when the hard rock kicks in. It’s pretty amazing in every way… I could write a post three times this long on the lyrics alone. But I won’t. Just give it a listen and you’ll get it. This song comes off of my favorite-titled Elton John album, Captain Fantastic and the Brown Dirt Cowboy – which was the first album to ever debut at #1 on the Billboard 200. This is an almost-seven minute song by John and Bernie Taupin, one of the best songwriting duos of all time. It was a top five hit and is just generally a great song. This is one of the Four Seasons’ signature songs. It came a decade after they were at their peak – it was sort of their renaissance. Frankie Valli isn’t even on lead vocals here – he’s doing the backing part and the bridge. When Bob Gaudio originally wrote it, the song was going to be about the repeal of Prohibition but the rest of the group convinced him to make it about him courting his wife. This was a Hot 100 #1 in 1976 and would later reach #14 in 1994 after it was remixed. The combined chart runs made this song the longest charting song in history up to that point.